Echimunor Emmanuel Onyinye, also known as Kismetpraiz, is a Lagos based Nigerian Gospel music minister that hails from Delta State. 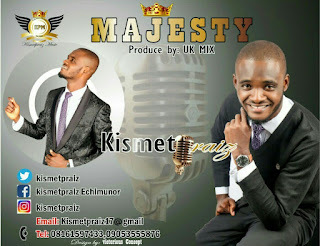 He just released his long awaited Debut Single, titled, "MAJESTY" . This song describes who God is to him, His faithfulness and royalty. 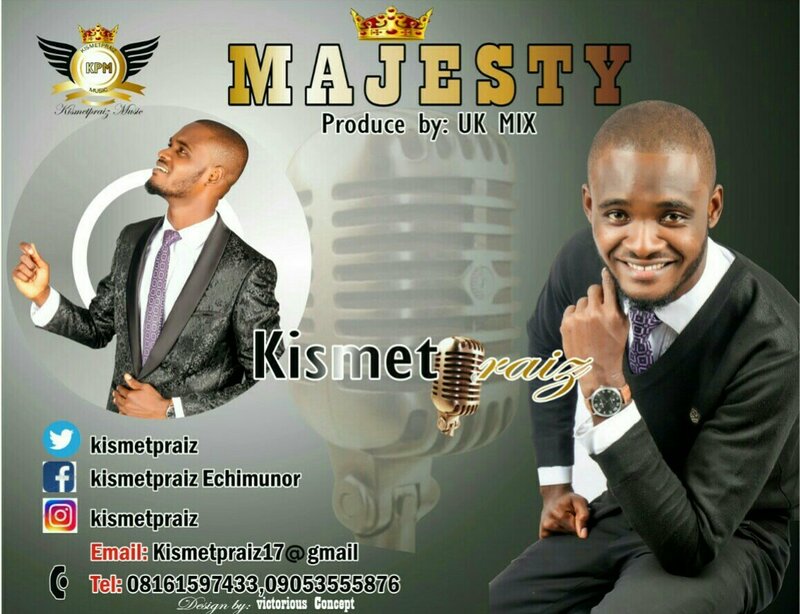 Kismetpraiz believes that the reason why he is alive is to worship his Creator (God) through his songs, letting the world know who God is. He makes sure that every creature around him worships God in spirit and in truth, with their heart and lips. This he does by letting the world see Jesus in his life and music. He writes and composes songs; he has more songs that are yet to be released. He also plays musical instrument. LISTEN / DOWNLOAD AND SHARE!! !